The pond was froze over and the wind was a-blowin’. Just all hangin’ around, decorating the tree. The power went off, the lights went dead! “Them power line wires must be down from the wind. Seems sorter like old time,” and then he just grinned. Their eyes all ashine in the ruddy firelight. 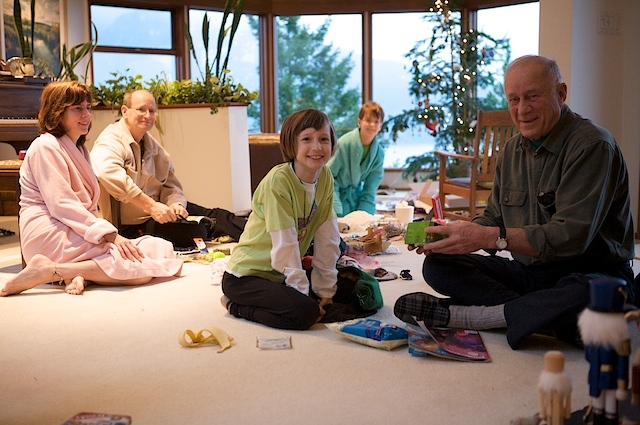 And when the kids all wakened, the power was on..
Said Grandpa — and no one suspected his trick. He had pulled the main switch — the old Son-of-a-Gun!